Supporters of Mexico's presidential candidate Andres Manuel Lopez Obrador, attend a campaign rally in Coacalco, Mexico, June 20, 2018 ahead of the upcoming July 1 national election. As the political and human struggle on immigration continues to unfold, many Americans are focused on how this national crisis will affect the November elections. But there is an election south of the border that is likely to have huge implications for President Trump and our relations with a key country in our hemisphere. At this point, U.S. relations with the two major countries in North America -- Canada and Mexico -- are at the lowest point in my lifetime. Trump recently insulted the leader of Canada, Justin Trudeau, and has instituted tariffs on our northern neighbor that have upset people in both countries. Trump’s stand on building a border wall and his harsh immigration policies toward Mexico has alienated this once key ally, and it is only bound to get worse in the aftermath of the elections in Mexico on July 1. While Pena Nieto, the incumbent president of Mexico, has infrequently pushed back against Trump, he has been very circumspect in his words and actions. He has tried to keep the ties between Mexico and America strong. Nieto is limited to one term and his likely successor will be Andres Manuel Lopez Obrador, a left-leaning nationalist known by many as AMLO. 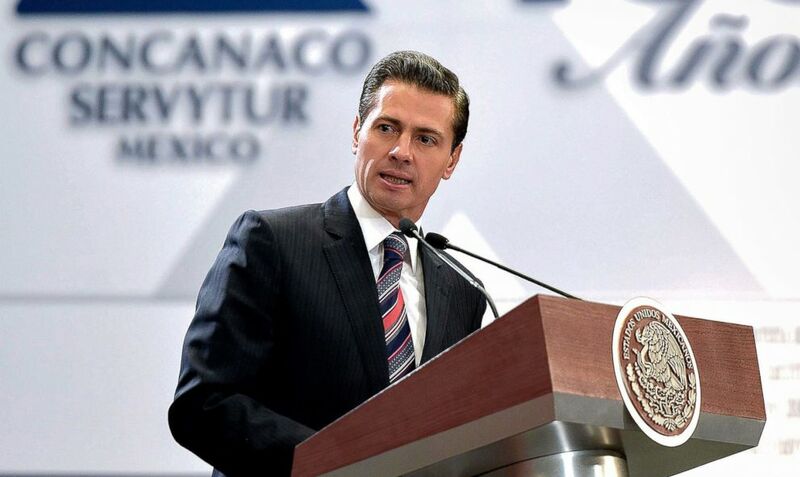 Mexican President Enrique Pena Nieto speaks at a ceremony at the official residence of Los Pinos, in Mexico City, Mexico, June 20, 2018. AMLO is more than 20 points ahead of his nearest competitor and has a very high probability of winning by a landslide. He has gone out of his way to say relations with the United States will change and has promised to confront Trump forcefully as president. “Trump and his advisers speak of the Mexicans the way Hitler and the Nazis referred to the Jews, just before undertaking the infamous persecution and the abominable extermination,” he said recently about the Trump administration. I can point to three reasons why AMLO is likely to succeed overwhelmingly in his election in 10 days. 1. As we have seen in America, and in many countries throughout the world, there is a rising tide of nationalism that is occurring. Many citizens have been left behind in the global economy and a wave of protectionism has gripped people in their frustration and anger. Without leaders offering a new thoughtful international approach and incumbent leaders trying to protect the status quo, many voters are turning inward and looking to protect only their country. President Macron of France and Trudeau of Canada were able to succeed in this environment of global fear because they were able to speak compellingly for change and hope without resorting to nationalism. The incumbent legacy parties in Mexico do not have candidates who were inspirational or who presented a platform of change, and thus a leftist nationalist will likely be elected in Mexico. 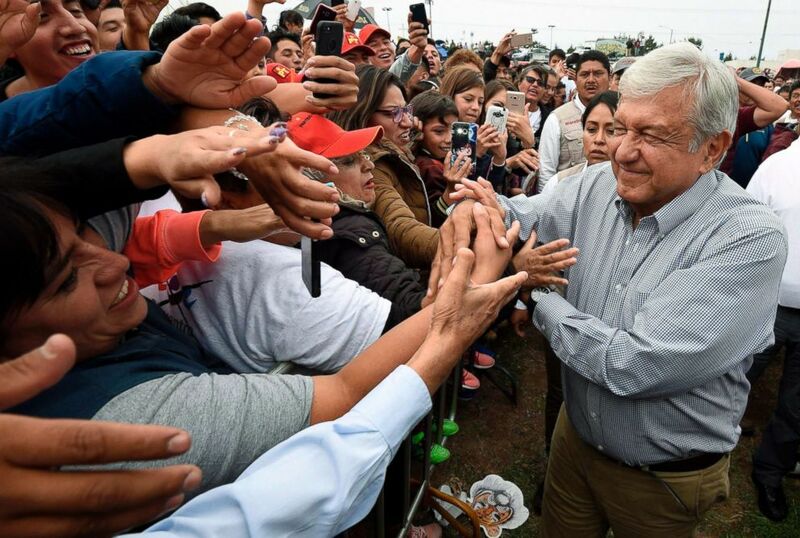 Mexico's presidential candidate Andres Manuel Lopez Obrador greets supporters during a campaign rally in Los Reyes Acaquilpan, Mexico, June 20, 2018 ahead of the upcoming July 1 national election. 2. For nearly a century, power in Mexico has been held by the two major incumbent parties -- PRI and PAN -- and voters in Mexico are tired of this status quo. While AMLO has been popular in past elections he was never able to beat the incumbent parties, but today voters feel unrepresented by these two parties and are willing to go for something new and different. We see this same phenomenon beginning to occur in the United States. The fastest rising and largest group of voters in America are independents. Both major parties are viewed unfavorably by a majority of Americans even though Democrats have an advantage now over Republicans. Moreover, there are not many viable independents who are running for office, but that day is coming. Though AMLO represents a minor party, he is seen as an independent and will win in part because of that. 3. Maybe most importantly, AMLO is going to win to a large degree because of Trump’s harsh words and actions towards Mexico and its citizens. Trump has created a political environment in Mexico where voters there want a strong leader who will push back against him. Mexico's citizens see Trump as a bully and are turning to AMLO to stand up for their interests. If the White House thinks the relationship with Mexico today is complicated and uneasy, government officials will need to get ready for a dynamic with serious conflicts when AMLO is elected. This is a relationship headed from counseling to possibly divorce court. It is an amazing phenomenon that the United States will soon have strained relationships with two of our longtime allies. So while political analysts and the press focus on the midterm elections and what course corrections those might bring come November, this election coming soon in Mexico will have dramatic consequences as well. Matthew Dowd is an ABC News analyst and special correspondent. Opinions expressed in this column do not necessarily reflect the views of ABC News.